If you feel like “roughing it,” pack up your tent, your camper or your two-door sedan and go camping at Lake Lou Yaeger. 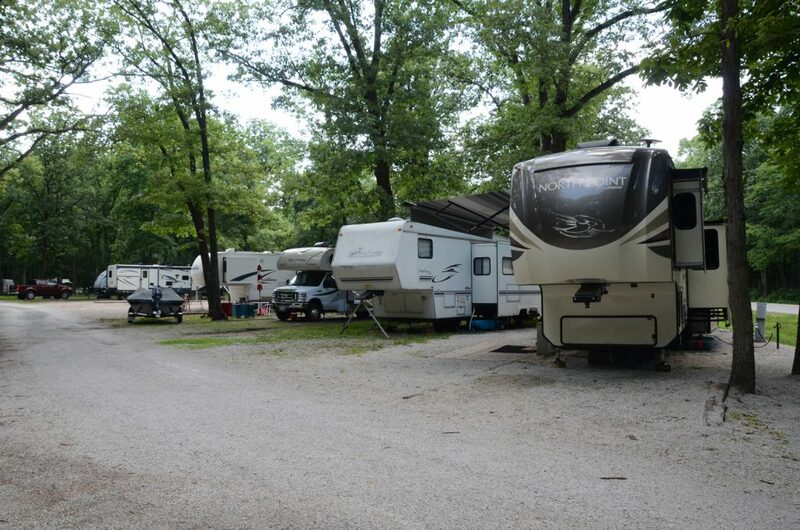 Lake Lou Yaeger campgrounds are located along Park Road, nestled in the woods of the Lake grounds. Campgrounds are a short half-mile walk or drive from the shore and within 5 miles of other Litchfield amenities. 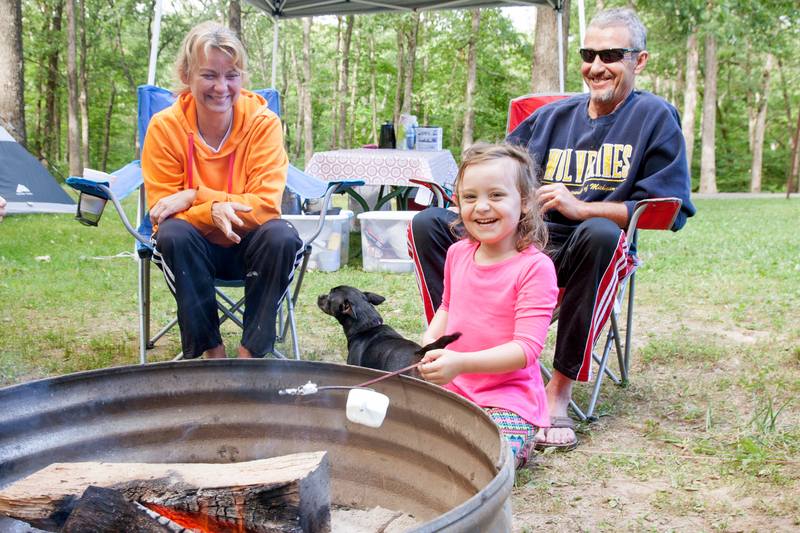 Campgrounds are open April 1 to October 31, and fees vary depending on campground option and length of stay. To make a reservation, please call the Campground Managers at 217-324-4771. If necessary, please leave a message with your name and number and someone will return your call. Reservations are not available online. Campgrounds accept cash, check or credit (on transactions larger than $15, not including the $2 service charge). 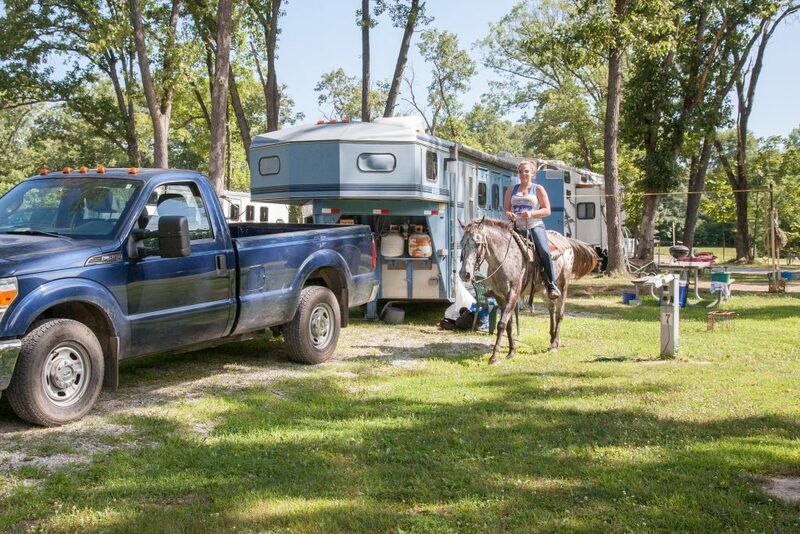 A credit card is required for all reservations, and no shows will be charged a one night camping fee. A credit card is required to make reservations. If you are calling from November 1 through March 31, please call 217-324-5832. Shower house access at Bicentennial or Equestrian Campground. Electric (30/50amp), Water, Shower House, Dump Station Shower House, Water Spigots Available 1 set of bunk beds, 1 double bed, A/C unit, small kitchen dining table, picnic table, water spigot, fire pit with grill. No Kitchen. Porta pots on site, flush toilets across the street, access to shower houses. *Unoccupied RV storage, Nov. 1 – Mar. 31: $125.00. Payment in full required up front. 30/50amp are available at the Bicentennial and Equestrian Campgrounds. Water spigots are available to each site at the Bicentennial, Equestrian, and Camping Cabins. There is one shared water spigot at the Primitive campground. 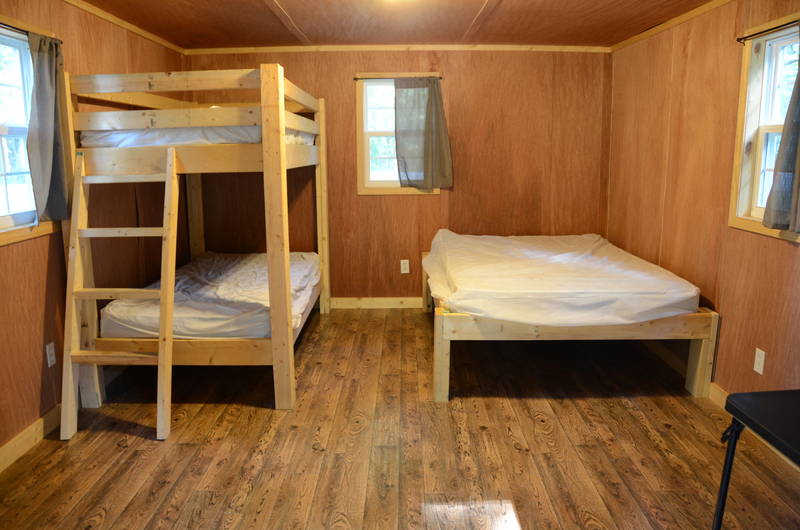 Shower houses are available at the Bicentennial, and Equestrian Campgrounds. Campers at the Camping Cabins and the Primitive Campground may use the shower house at the Bicentennial/RV or Equestrian campground. In lieu of a sewer system, there is a dump station for campers to use located near the Campground Manager’s residence. The Lake offers annual lake lot leases for primitive campsites, including those with a lake view. Un-renewed lake lot leases are raffled off in the beginning of May. To place your name in the raffle, please call 217-324-5832. If any lots are left unclaimed, they become available in the second week of May. *A one time $150 security deposit is required. If you’re travelling with a boat and you’d like to leave your boat in the water overnight, the Campground Manager has the ability to offer two overnight boat slips. These slips are offered on a first-come first-serve basis. Firewood is available at the Campground Manager’s residence for $5.00 a bundle. Like any great camping experience, you’re encouraged to bring your furry friends along for the fun. However, dogs must remain leashed at all times. For the safety of horse-back riders, dogs are prohibited on horse trails or in the cabins.